I love travelling. I love experiencing new cultures, and trying the local delicacies. 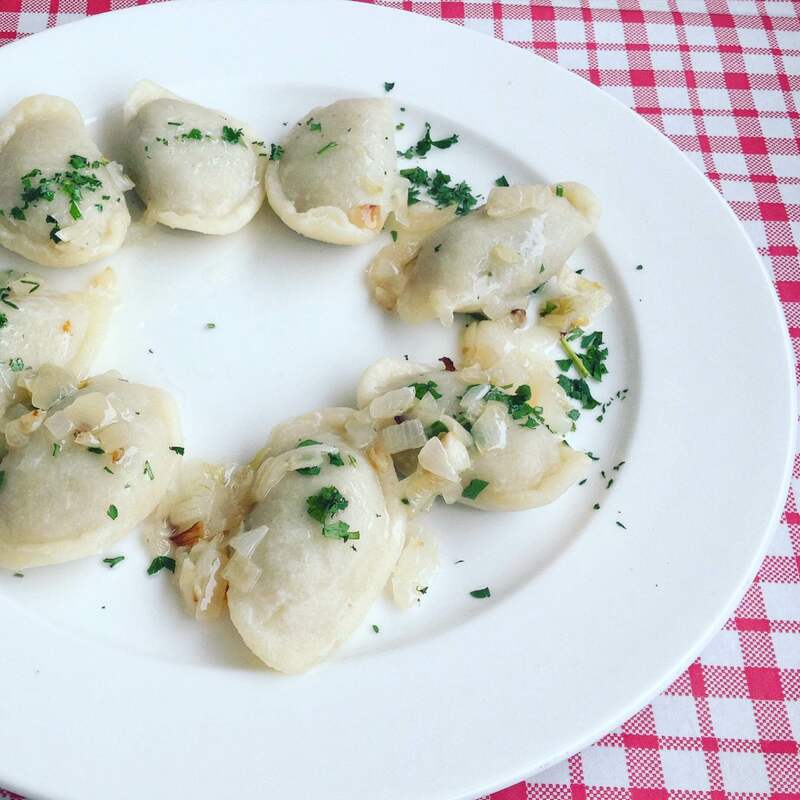 Whilst in Poland, I discovered two of my favourite things…ever – pierogi and curd cheese. Seriously – dumpling and cheese! What is not to like?? In case you are not familiar with pierogi, they are these amazing dumplings which are made from unleavened dough. They are often stuffed with delicious things like cheese, potatoes, sauerkraut and onions. You can enjoyed them boiled or fried. Oh man, were they tasty! I think one day I had them for brunch and dinner! I regret nothing, they were delicious. I am salivating at the thought! Honestly, I think I have a dumpling obsession! The second thing I discovered over there was this amazing curd cheese called twarog. I had it on top of warm wholemeal bread with crisp radishes and parsley. So simple, but so delicious! I always get so inspired to cook new things when I get back from holiday. This trip was no different. I loved how lots of the dishes used herbs that I don’t normally use – like dill and parsley! I was worried that there wouldn’t be many meal options for vegetarians, but we were spoilt for choice! We ate vegetables in so many mad forms. I think one of my favourite meals that we had was braised celeriac ‘steaks’ with beetroot mash and parsley & cheese sauce. Seriously good eats! My favourite restaurant was this amazing bohemian restaurant called Katarynka. I really recommend it to anyone visiting Bydgoszcz! So Poland has definitely inspired my cooking now I have returned to the UK. I seem to have developed a crazy dill obsession, and I am eating a lot of gherkins. 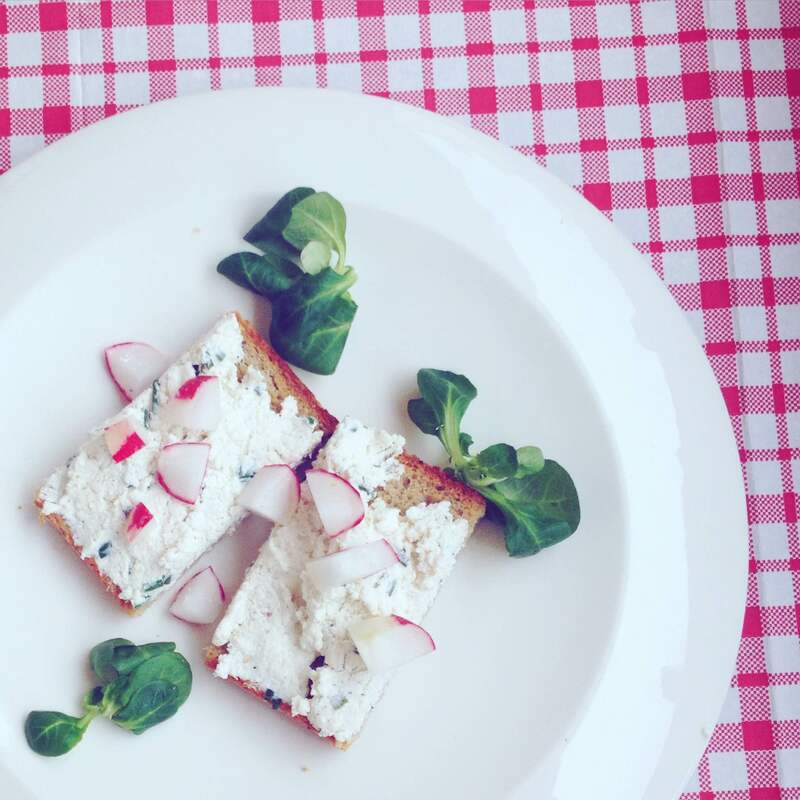 One of my favourite lunches right now is my version of the curd toast! Its really simple to make and tastes really good. Another Gherkin – to garnish! 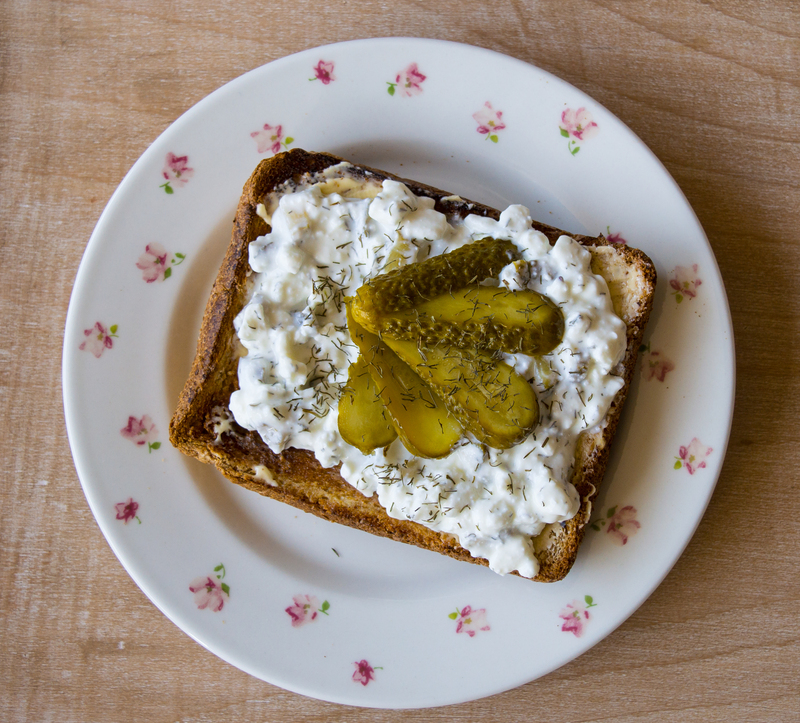 Stir the cottage cheese, dill, chopped gherkin, dill vinegar, salt and pepper together. Add more gherkin (seriously I am obsessed!). Barely a recipe! But surprisingly satisfying! I have a delicious sauerkraut soup recipe coming soon! Stay tuned! Have you guys visited Poland? Tell me about your experiences!! 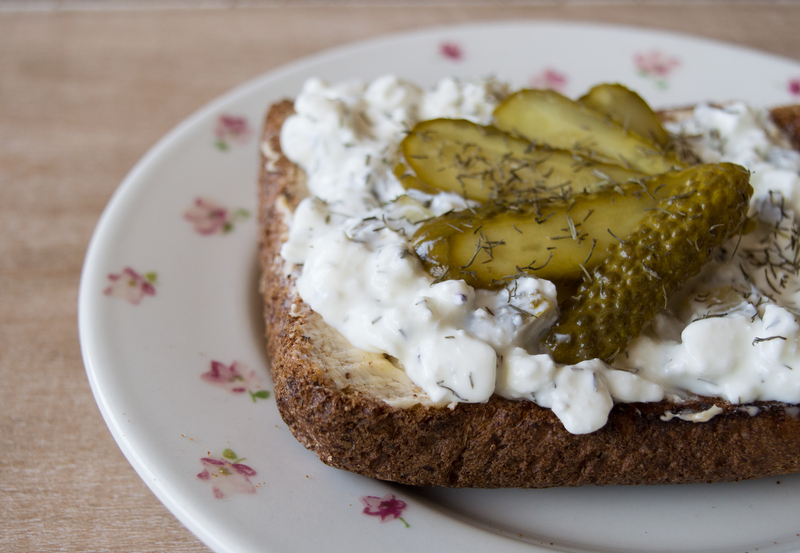 Posted on September 8, 2015 January 7, 2016 by TinaManahaiPosted in Recipe, TravelTagged Bydgoszcz, cheese, Dill, Gherkins, pierogi, Poland, recipe, snack, Toast.